Mumbai: Actress Sonakshi Sinha says essaying the role of Satya in "Kalank" has been a very fulfilling experience. 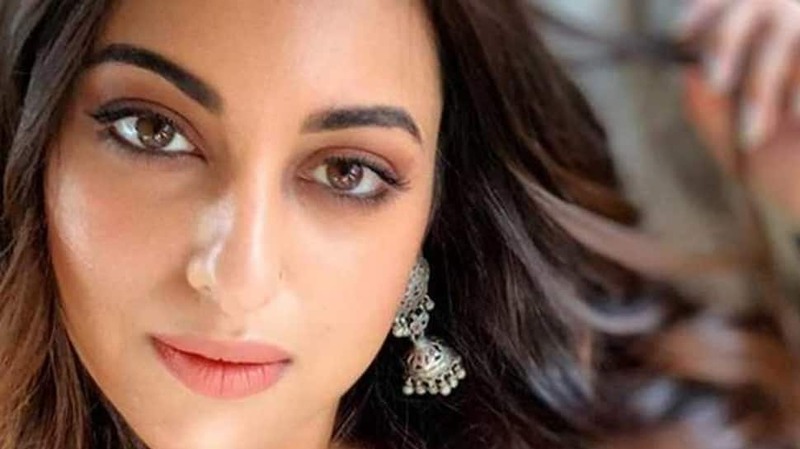 The actress has been applauded for the role of Satya in Abhishek Varman's period drama "Kalank", and her chemistry with Aditya Roy Kapur. "The response has been fantastic, everyone has loved my character and my portrayal of Satya and that makes me really happy," Sonakshi said in a statement. "Playing a character who is dying and harbouring so much pain is never easy. Abhishek really helped a lot in bringing that out of me. Satya has been one of the most fulfilling characters I have played," she added. "Kalank" also stars Sanjay Dutt, Madhuri Dixit Nene, Varun Dhawan and Alia Bhatt. Along with the varied hues of love, the period drama highlights the trials and tribulations of love with the spotlight on communal tensions. It released on Wednesday. After "Kalank", she has a lot to look forward to. She will be seen playing an astrophysicist in "Mission Mangal", a small town girl in Mrigdeep Lamba's untitled comedy, an outspoken social worker in "Bhuj: The Pride of India" and reprising her role of Rajjo in "Dabangg 3". New Delhi: Karan Johar's ambitious period drama 'Kalank' hit the screens on April 17 and was lauded for being a visual delight. The film stars Alia Bhatt, Varun Dhawan, Sonakshi Sinha, Aditya Roy Kapur, Madhuri Dixit and Sanjay Dutt in pivotal roles and is helmed by Abhishek Varman. Even though the film got mixed reviews, it became the biggest opener of 2019 so far at the domestic box office. The film minted money internationally as well and has maintained its steady run. Kalank is backed by Karan Johar's Dharma Productions and is one of the biggest releases this year. The film was criticised for its script and screenplay. However, performances of all lead actors left an impression in the viewers' mind. Mumbai: Punjabi singer-actor Jassi Gill says his "Happy Phirr Bhag Jayegi" co-star Sonakshi Sinha should stop singing. Jassi expressed his views when he appeared on an episode of the show "By Invite Only". He appeared along with Rhea Chakraborty. The episode will air on Saturday on Zoom, read a statement. During the last leg of the show, host Renil Abraham played fun-filled games with the celebrities. Rhea was asked the 'Kill, Marry, Hook up' question with her options being Varun Dhawan, Sidharth Malhotra and Zaheer Iqbal. The actress said: "I would marry Varun because we are friends, hook up with Sidharth because he is hot, kill Zaheer and then call him and apologize." On the other hand, Jassi was asked to name a celebrity who should stop singing, he said "Sonakshi Sinha". The actress made her debut into singing with "Ishqoholic" in 2016. Sonakshi has sung a track titled "Raj raj ke" for her film "Akira". Opening up about dealing with pressure on social media, Rhea said: "When you are a female on social media, there is a lot more scrutiny one goes through." Talking about facing trolls, the actress added: "Can I kiss your navel, is what someone messaged me on social media." Unhappy with the ongoing trolling culture, Jassi said: "There is a lot of unemployment in India and some of them have made trolling their profession. They used to call me 'fukra' and 'wannabe'. Earlier, I used to react because I used to think, 'what wrong have I done to get trolled?'". Mumbai: Arbaaz Khan, who is busy producing "Dabangg 3", says his upcoming action-comedy drama film is a big responsibility for him as an actor and producer. Arbaaz was interacting with the media at promotional press conference of ZEE5's web series "Poison" here on Thursday. He is caught up doing multiple things these days. On one hand he is producing Salman Khan and Sonakshi Sinha-starrer "Dabangg 3", and on another he is juggling between a talk show titled "Quick Heal Pinch by Arbaaz Khan" and "Poison". Asked how is he manages to do all these things, he said: "I wouldn't say this ('Poison') was easy but, that project ('Dabangg 3') requires more attention from my side because I am working as an actor and a producer in it. I also look at Salman's co-ordination and all that. "While working in ‘Poison', I just need to focus on my character. Whereas, hosting a talk show is like a breeze. I finish shooting each episode of that show in one or two hours, so it's not such a big thing. But I absolutely agree that ‘Dabangg 3' is a big responsibility." 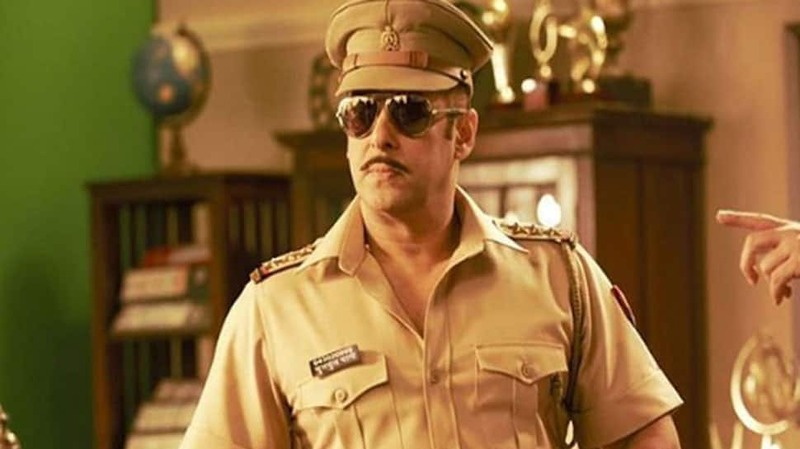 Directed by Prabhudheva, "Dabangg 3" brings back Salman as Chulbul Pandey. The team recently completed its first leg of shooting in Maheshwar in Madhya Pradesh. On being a part of "Poison", Arbaaz said: "It's an interesting web series. I was always looking for something interesting on the web medium. When this script and character came to me, I found it very interesting and I wanted to portray it. I feel fortunate that I got an opportunity and it has turned out pretty good. I am happy that I have done that, and now I am waiting for the results." Arbaaz said web series are the next big thing in the world of entertainment. "I don't know what reservation people have towards web series... If you see, people in the West, that should be taken as example that how big web series are over there and how big stars from cinema have gone in web series and became even bigger stars. "There are actors like Kiefer Sutherland, Kevin Spacey, Robin Wright and so many other actors who worked in cinema but never got the kind of fame and recognition that they got from web series. They have become even bigger stars and multi-millionaires. So, that will happen sooner or later here (in India). "Cinema is there and it will always exist, but this will co-exist with cinema. I think actors and creative people will get their due even on the digital platform." The subject of the film is not something unheard of, in fact, countless films have been made on the inter-religion love and the Hindu-Muslim conflict. 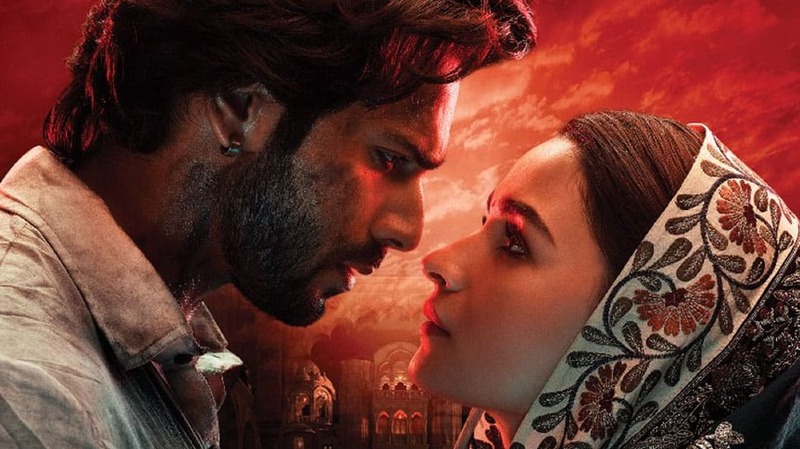 Love had triumphed in all the other films and Kalank is no different minus the grandeur. 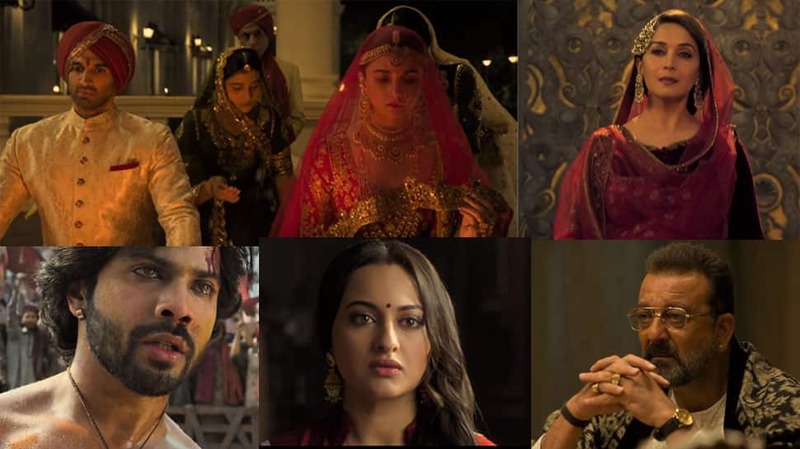 The high morals of the society have been questioned countless times and Kalank supports its subject with the same question all over again. The story is set in Husnabad, near Lahore in Pakistan, a few years before the India and Pakistan partition. 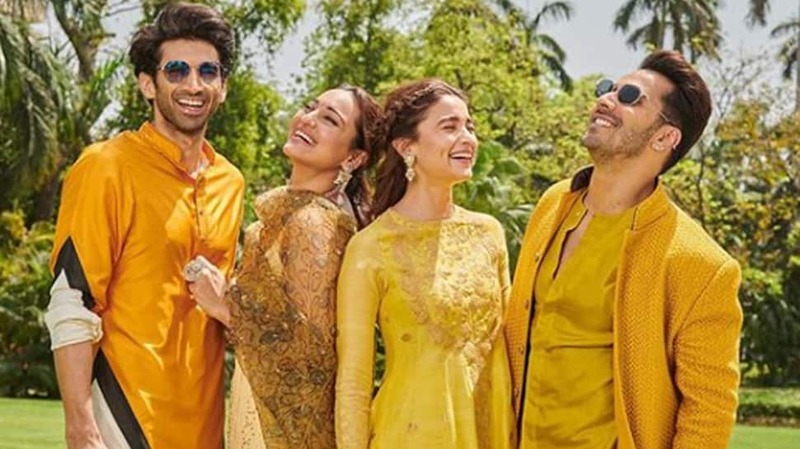 The town is dominated by Muslims, who are mostly engaged in low-wage jobs while there is only one Hindu family that the film introduces us to and they are Balraj Choudhary(Sanjay Dutt) Dev Choudhary (Aditya Roy Kapur) and his wife Satya Choudhary(Sonakshi Sinha). The family runs a liberal newspaper called Daily Times, trying to survive the wrath of the crowd who don't share the same ideology as that of its owners. Just fifteen minutes into the film and you will be bamboozled with three songs and stunning performances. After much fanfare, a poised Sonakshi Sinha as Satya pushes the accelerator towards the only thing that the audience has been waiting for, the story. Satya, a woman madly in love with her husband, is caught in an inescapable battle and wants to settle scores with life before she reaches the point of no return. Satya is one of the well-crafted characters and Sonakshi does complete justice to it. Her poise, elegance and charm is commendable. Although her stint ended sooner than we had expected, we wish her class act had stayed for a longer period. Similarly, Aditya as Dev is an epitome of grace. Despite being in a situation where everything falls apart, he tries to hold every aspect together. After his boyish act in Ok Jaanu, it was refreshing to see Aditya playing a matured character on-screen. Alia Bhatt as Roop and Varun Dhawan as Zafar give birth to another set of characters that we are going to remember for a long time. Roop, a victim of a marriage of convenience, falls in love with Zafar, a victim of circumstances. Nothing unpredictable happens between them in the film but the finesse with which every emotion has been portrayed by them is indeed commendable. The film has surprise elements like Kunal Kemmu, who has a huge part to play in the way the story unfolds. Hiten Tejwani and Achint Kaur add refreshing twists to the film. While all eyes were waiting for the two most-talked-about couple of the nineties Madhuri Dixit and Sanjay Dutt, they hardly share screen space but delivered power-packed performances otherwise. Their dialogue delivery seemed too real to be considered fiction and the fans got their moment of two of their most favourite on-screen actors. The film is indubitably one of the most visually-appeasing creations of Dharma Productions but it completely lacks soul. There was nothing new on the makers part other than presenting the magnanimous sets and immaculate costumes. So much more was expected from the film with an amazing star cast but it, unfortunately, didn't live up to the expectations. There are too many unrealistic moments in the film that would make you question your sanity. Despite living in the 1940s, the characters were dressed in body-hugging sherwanis and stylish bandhgalas. The women donned bell-sleeves blouse and embellished lehenga cholis irrespective of their economic conditions. The VFX at some places is sour to the eyes. Even blacksmiths of that era could pronounce English words like 'Journalists' and 'articles' fluently. However, one should totally watch it for the performances of the star cast. New Delhi: The bond and comfort they share in real life is the key to their crackling chemistry on screen, say actors Alia Bhatt and Varun Dhawan.